Sohma Furutate designs and creates works through a unique material centric approach based on the theme “Material Matters.” He emphasizes sculptural expression that is effective for people, things, and spaces while valuing the freshness of the material in his search for new functionality and value the material can potentially provide. The form with one end floating has a strange tension to it without any sense of the mass and hardness of the concrete material. The light leaking from the gap with the floor shines through the space. 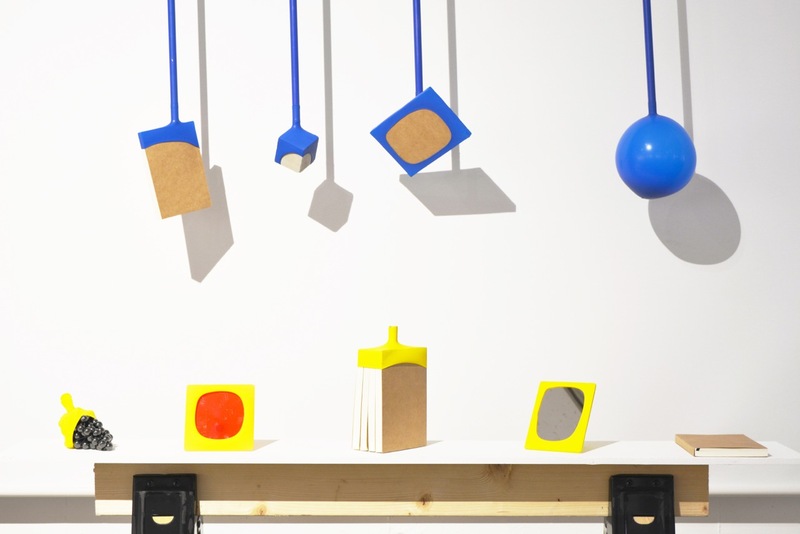 Furutate aimed to present light that approaches and blends in and mixes with the items it shines on, rather than giving the sense that the objects are approaching the light. 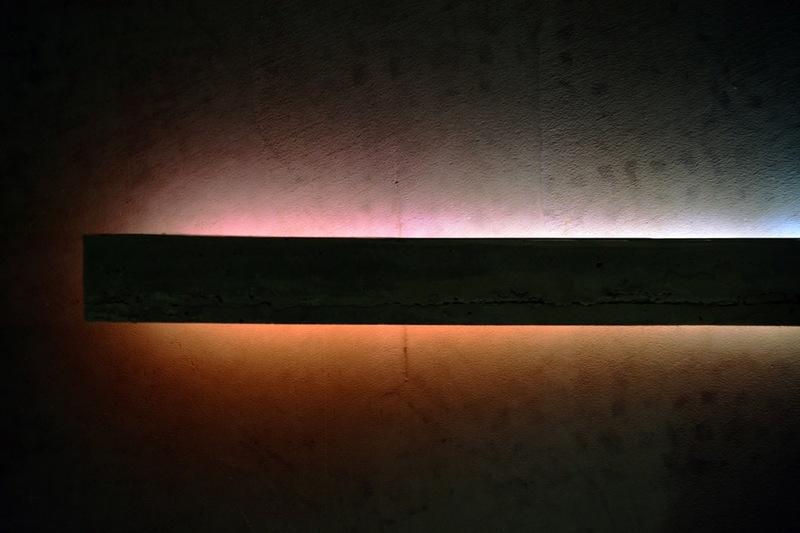 It is a work of light design, rather than lighting. The unique “co.” chair, created with parts made of both rattan and steel, was an attempt to find a new style for traditional South East Asian rattan furniture. 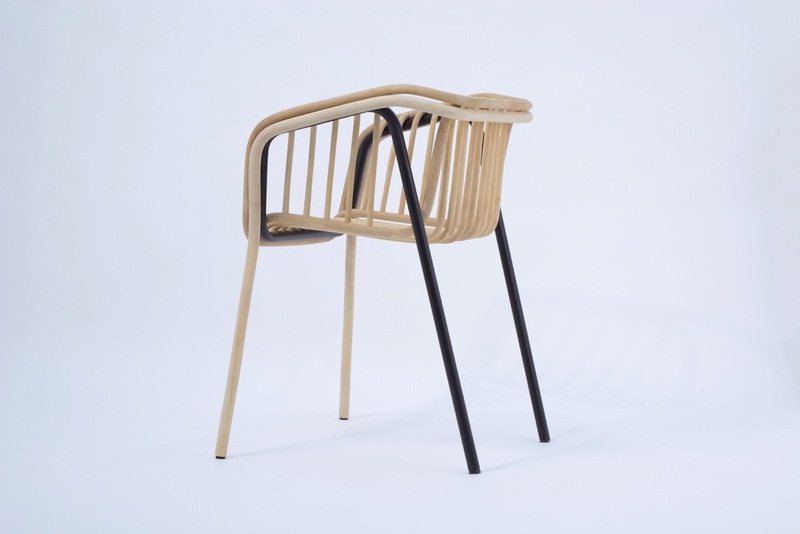 The placement of the rattan based seat over the frame gives rise to the functionality of the chair, and the removal thereof allows each part to be stacked. People perform numerous unconscious acts during their daily lives, such as sitting in chairs, placing clothing on racks, and returning books to bookshelves. By being aware of their behavior as they purposefully interact with the interior, the user interacts with the bookshelf itself and the space it is placed in. This helps people to shift from using interior objects unconsciously to experiencing them consciously.